The Mac Observers Editors' Choice Award 2014. 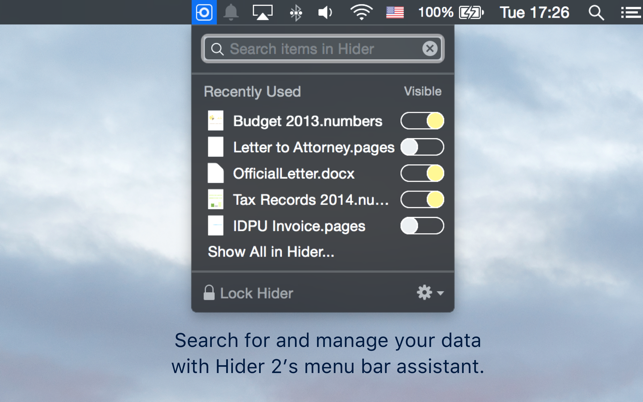 Anyone who keeps extensive amounts of data on their computer should consider buying this app. 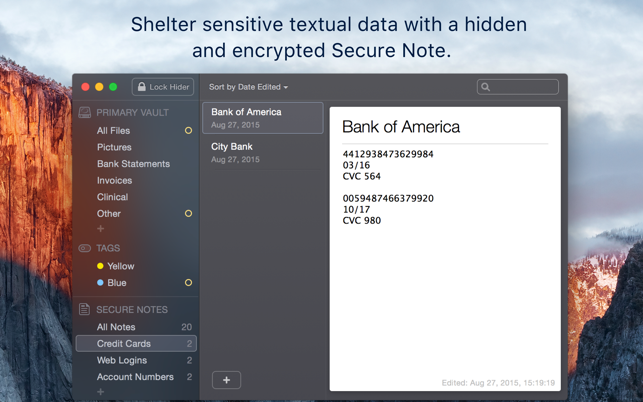 This is an excellent application for protecting the security and safety of files. I reviewed many other similar applications before choosing this one. This app did, however, take a while to learn how to get the best from it. In retrospect, I should have spent more time before using it deciding on the organization and structure of the intended files on the computer, including any attached drives. Doing this ahead of time will make maintaining and updating the system much easier as more and more documents and files are added. For example, separate folders can be assigned specific documents—taxes, medical care, expenses, housing repairs, car expenses, wills, etc. 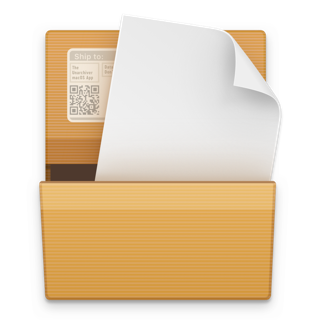 Also, folders with very large numbers of documents may be able to be subdivided by category and use. Initially, I ran into warnings that certain files could not be updated or moved to another folder. This was, I believe, because I had attempted to move certain file folders from one category of my file system to another. As pointed out by another reviewer, this is allowed, but only if the file is renamed. At one point, I elected to re-organize the entire system. 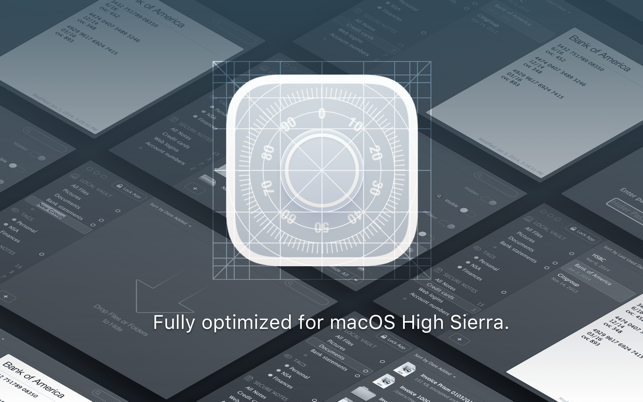 If there are over-riding concepts of how the app works with multiple files in a hierarchical system structure, it would be great if the creators of the app could write a brief set of instructions for its use. 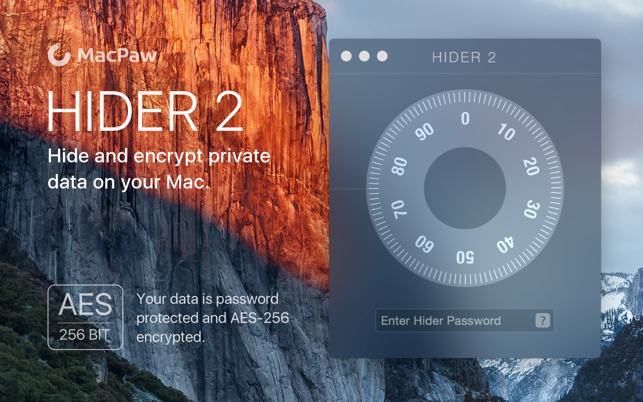 This app is, by far, the most convenient and well-designed on-the-fly file encryption system I have been able to find that runs on MacOS. However, there is one big problem I've been able to find. While the files themselves are encrypted on your computer, the FILE AND DIRECTORY NAMES ARE NOT. They're simply scrambled, not hashed. And the directories themselves are not compressed/zipped, meaning anyone can comb through the directories and see how many subdirectories and files each one has. This is, in my opinion, a massive flaw for any piece of software claiming to provide a file encryption service. This means that anyone with the vague-est idea of what files they're looking for on your computer will be able to simply go to your .hvault file, right click > show package contents, click on the "Indicum" file (which appears to be where all encrypted files are stored) and then unscramble the names of each directory. Not so difficult when Hider 2 doesn't even change which letters are capitalized, just changes their places. I'm starting to have my doubts that this application actually encrypts the files you feed it, instead of just scrambling their contents somehow and calling it "AES-256 Encrypted" in all their advertising material. 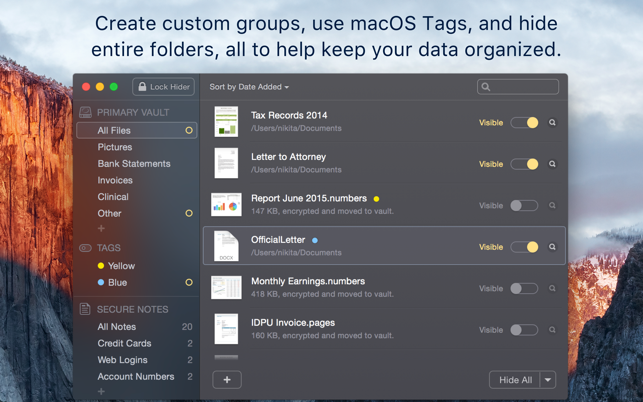 If you reformat your machine or move to a new Mac you won’t be able to open your existing data vault, as a new empty one is created whenever Hider 2 is installed and opened for the first time. For opening and access the one you backed up, I had to contact Customer Support, who provided me with a list of long commands to use in Terminal. It worked, but it is cumbersome, as you don’t work in the normal Finder folders, but copy your existing vault into a inner hidden folder opened/uncovered by the Terminal commands. Creepy thing is you don’t know if in the future your data will be always safe and available. 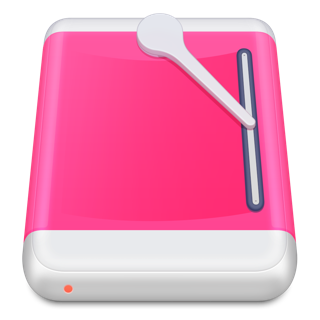 The app should allow to easily open or import prior vaults, just as when you move/open an encrypted zip file in another computer. Dear customer, thank you very much for your feedback. We will absolutely take it into consideration and make Hider 2 more convenient for you and for all our customers. Sincerely, MacPaw Team.